Mom showing baby the ropes. Pictures by Mohammed Jinnah. There are few things on Earth cuter than a baby hippo. 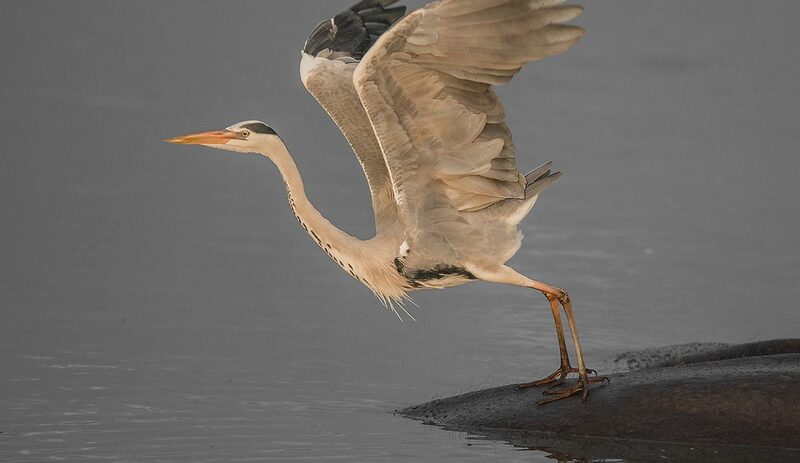 Nobody can better attest to the fact than Wild traveller and keen photographer Mohammed Jinnah. On a visit to Kruger in June 2018, Mohammed and his family had the most wonderful sighting of a cuddlesome youngster. 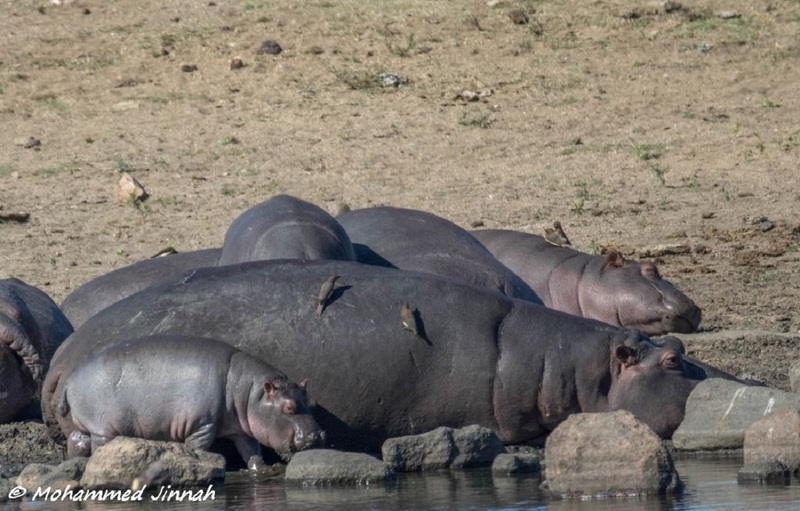 The Jinnahs had entered the park at Phabeni Gate and were making their way to Skukuza on the S1 when they came across a hippo cow. 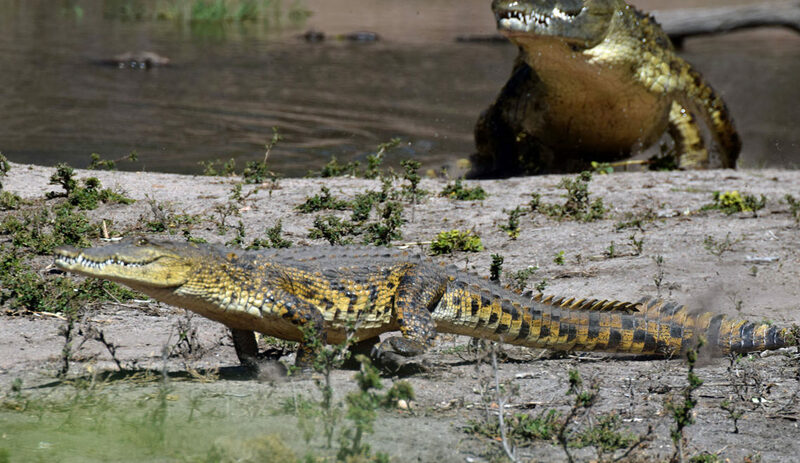 The protective mother was leading her calf to Nyamundwa Dam to join the rest of the hippo pod. 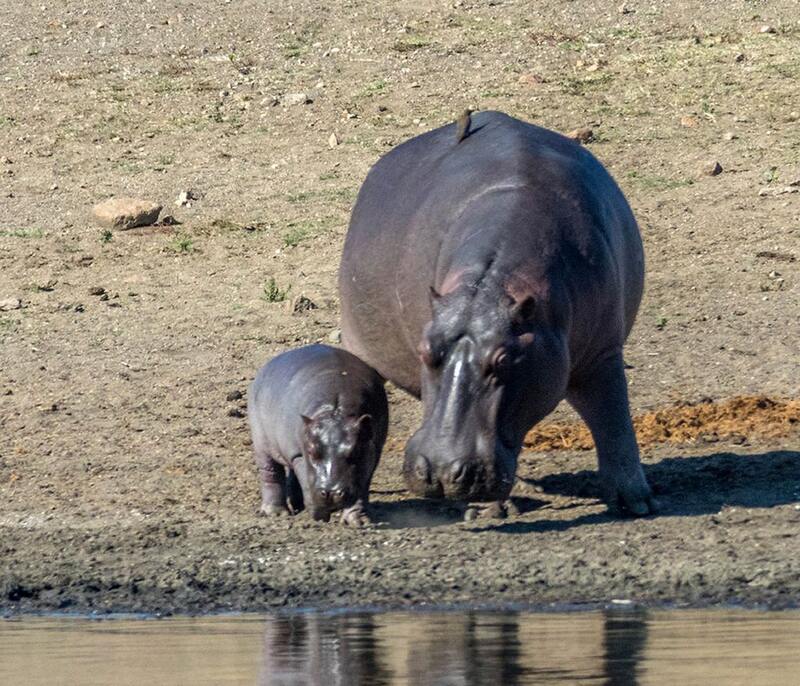 “This was without a doubt the smallest hippo we have ever seen. 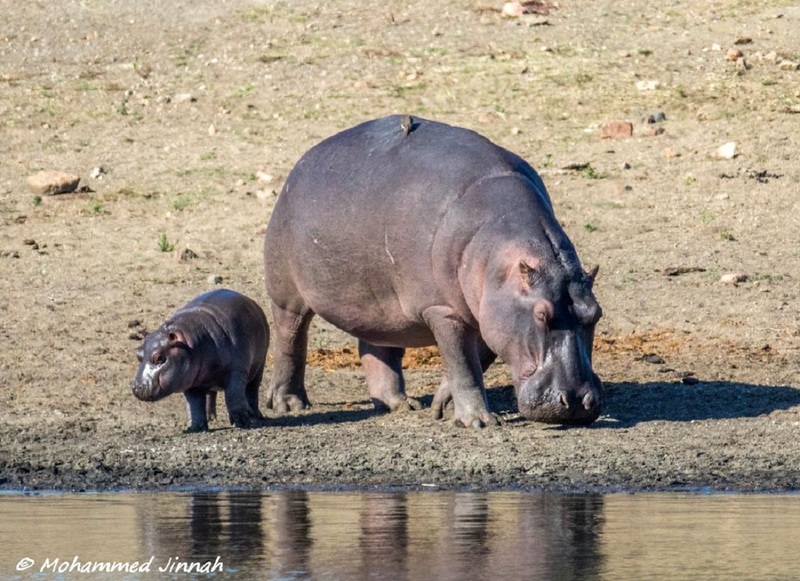 We were very excited to find the mother and baby out of the water and interacting,” Mohammed recalled. They watched spellbound as the duo slowly made their way to the rest of the pod with the mother lovingly showing the baby the ropes. Mother keeping a watchful eye. A sweet moment between mother and baby. 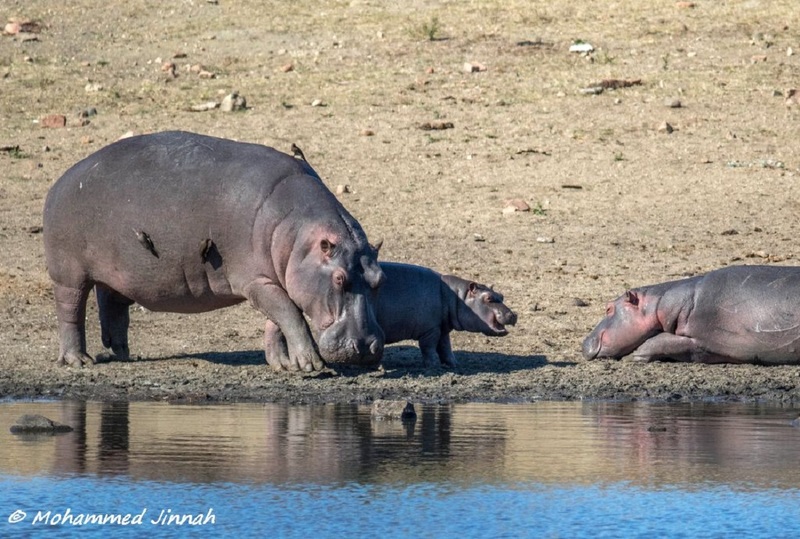 To the delight of the calf, the pair came across a lone hippo on their path and the baby happily greeted the other hippo. 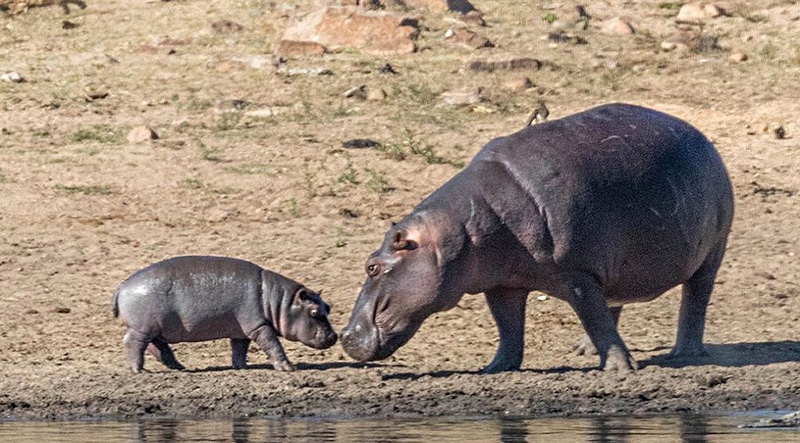 The baby is delighted to see a hippo on cross their path. 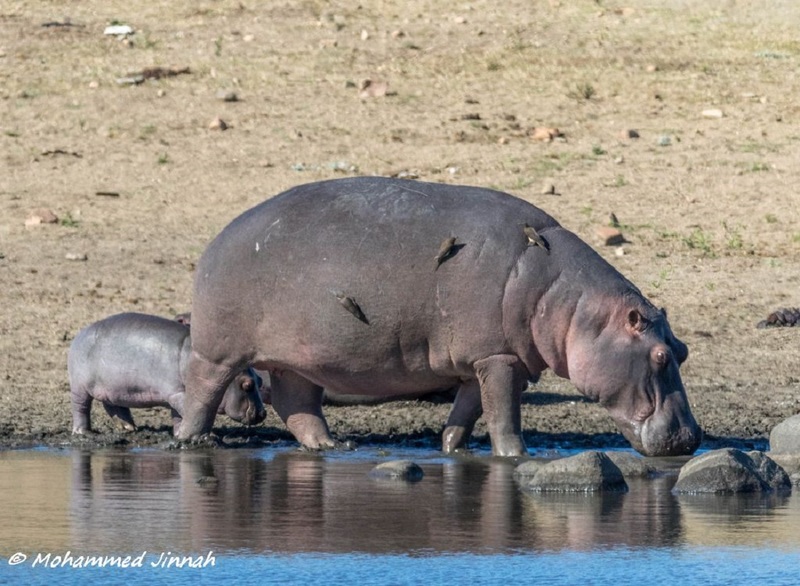 “It was such a precious moment, the way the baby hippo opened her mouth in the typical hippo gape,” Mohammed told us. After this adorable interaction, the mother reached the pod and settled in with her cheerful baby by her side. Finally with the rest of the hippo pod. Given their size, hippos have a short gestation period of eight months − the growth of the foetus in the womb is incredibly fast. The gestation period of black rhinos, which are a similar size, is almost twice as long. 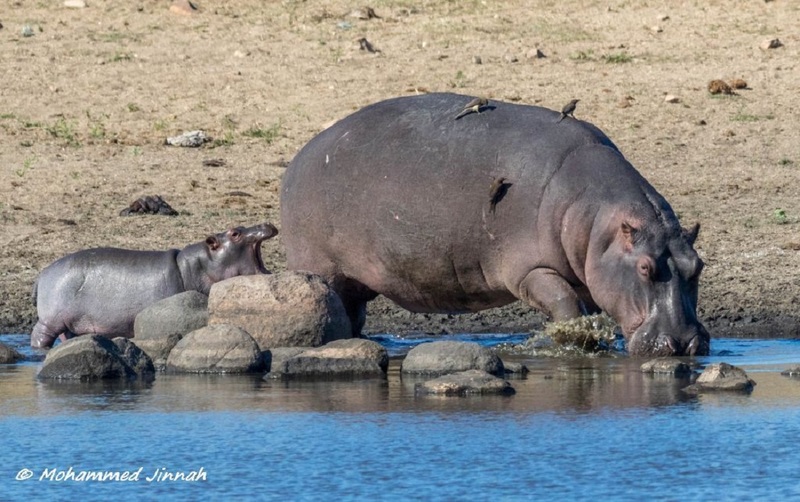 A hippo calf will rest on its mother’s back when they are in deep water. Have you ever noticed how a hippo’s skin shines? The sheen on a hippo’s skin is caused by a special secretion from their skin called hipposudoric acid. This secretion contains chemicals to prevent dehydration, protect against sunburn and disinfect their wounds. A hippo’s tracks do not resemble any other animal’s in the wild. This wondrous giant has four rounded toes with a horny hoof on each foot. BEAT ABOUT THE BUSH, MAMMALS AND BIRDS.2013. JACANA. 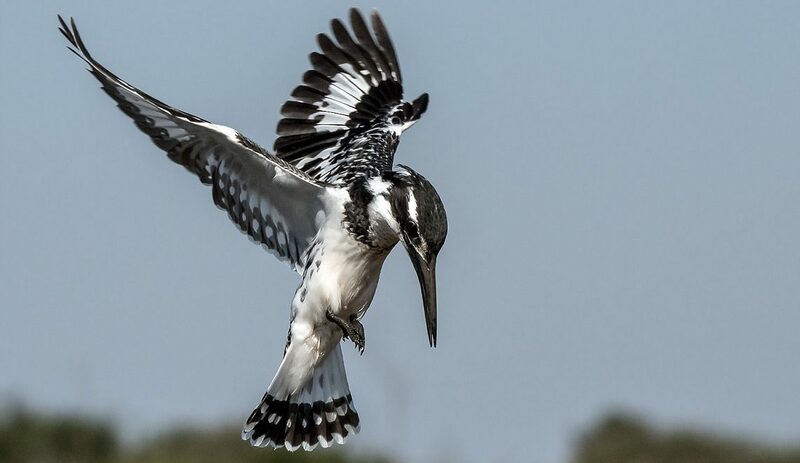 A FIELD GUIDE TO TRACK AND SIGNS OF SOUTHERN, CENTRAL AND EAST AFRICA WILDLIFE. 2013. STRUIK NATURE.